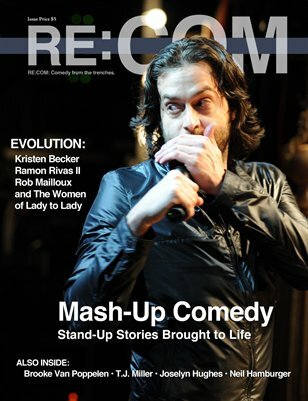 RE:COM's Evolution Issue looks at growing markets for stand-up comedy, and the folks who are making interesting comedy events happen from all over North America. We talk with comedians big and small to find out where they've been, where they are now and where their sights are set. We talk to T.J. Miller, Joselyn Hughes, Kristen Becker and Brooke Van Poppelen about their own evolutions.